WOW! Did we ever have fun going to Alaska together! As I have mentioned so many times before I love to travel. I really enjoy going over the details of a trip and planning it as much as actually going on it. Planning the Senior Bachelor Group Cruises has been no exception! So, due to the overwhelming success and demand of the first Senior Bachelor Cruises I am going to arrange for more- to start with, cruises to some warmer climates! As I have always predicted, we are fast becoming a "market force" to deal with. As a result of our outstanding Alaska cruises and our affiliation with a terrific, high end travel agency, Coastline Travel Advisors and the $4 BILLION Virtuoso Marketing Group, we have received more value and more amenities for our upcoming cruises and travel together. Based on your responses and requests, I have arranged for new cruises in 2007- the first is a Panama Canal Cruise! They are quickly approaching so let's start planning for them right away. Please - PLEASE - reserve your stateroom ASAP. Despite my telling everyone to book early for the Alaska cruises, over 50 people who wanted to go were unable to because the ship was sold out. Up to a certain date, which you will be notified at the time of booking, the deposits for each of the cruises are 100% REFUNDABLE. Thus, you have nothing to lose by reserving your stateroom immediately. Roman Empire Greek Island Cruise - September 25, 2007 (10 Days)!! 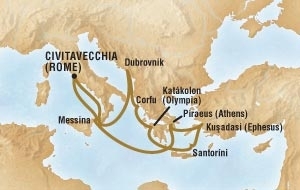 More details are below including itineraries, amenities, and costs. Not only will we be experiencing one of the top cruise lines with Six Star dining, entertainment, activities and amazing itineraries packed with Adventure-- we will have our own group parties, events and meetings. Special gatherings just for our group! You've seen how much FUN we've had together at all of our Events (click here to see photos!!) Imagine how much more FUN, entertaining and meaningful it will be to go with a group of friends and share all these great times! And, our Senior Bachelor Cruise group rates for the cruise are less than what you will find by booking yourself on Holland America's and Crystal's own websites. Richard will arrange MIXERS open to any singles on the ships. This will be a great way to meet others on board. We all will have dinner at the same dining time, and this will allow everyone to attend the first show so plenty of time for a little fun at the disco. We will change tables each evening (within our group) so that we all get to know one another well. Before each dinner, there will be a cash bar cocktail party. Even if you do not drink, this is a great opportunity to get dressed up and spend time with our group. I will send out an e-mail to each group prior to sailing and ask if you have a talent you would like to share. For example, singing, playing the piano, magic tricks, etc. You will be amazed as to how much talent our groups have- and how much fun you will have sharing it with the group!!! A wine tasting party hosted by an expert. If anyone is interested in knowing any details of my association and friendship with two of the most powerful women of our times, Princess Grace of Monaco and Miss Oprah Winfrey, I will be happy to meet with a group. Again, you will only be able to attend these special group events if you book with the Senior Bachelor Group as explained below. And these cruises are open to anyone you wish to invite! So bring your family, friends and, most important, any men you know who would like to meet, literally, a "boat load" of wonderful women!! Following is the basic information for the upcoming Senior Bachelor Panama Canal Cruise. Please read it carefully. Prepare the information we talk about below, visit the Crystal Cruises website for more information, prepare any questions you may have and then call Jay or Leah at Coastline Travel Advisors at 1-800- 448-2374. I HIGHLY RECOMMEND you reserve your spot as soon as you can. Over 50 people missed out on the cruises to Alaska because they did not reserve early enough and space will go quickly at these amazing prices. Here's what you should start thinking about before you contact us to book your cruise. If you already have a roommate lined up, this will avoid the single supplement charge, and you can book right away- call now - 1-800-448-2374 and ask for Jay or Leah of Coastline Travel! 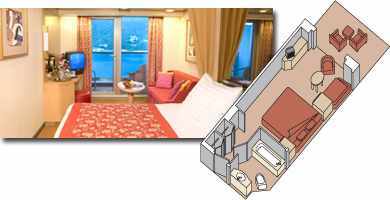 If you want your own cabin, and are willing to pay the single supplement, you can also book right away- call now- 1-800-448-2374 and ask for Jay or Leah of Coastline Travel! 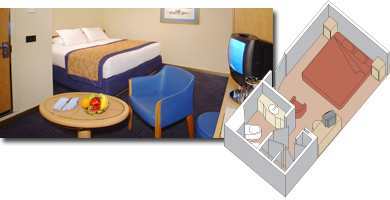 If you want to book a cabin and want us to help you find a roommate, we can help do that for you. To start this process, simply REPLY to this email and put ROOMMATE in the subject line. We are now working with a fantastic, professional travel agency, Coastline Travel. 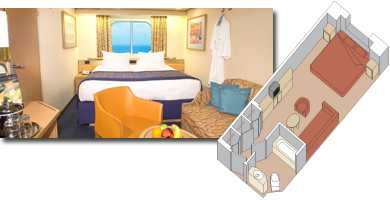 We chose Coastline Travel because they are cruise pros and have negotiated great prices and amenities for our group. You will enjoy working with them! Call 1-800-448-2374 and ask for Jay or Leah. September 25, 2007 (10 Days)!! Prices: $1,939 to $1,979 per person based on double occupancy. This includes all port charges (also known as non-discountable) but does not include the Government fees of $105.07 per person. Prices: $2,379 to $2,439 per person based on double occupancy. This includes all port charges (also known as non-discountable charges) but does not include the Government fees of $105.07 per person. Price: $2,889 to $2,959 per person based on double occupancy. Includes use of the Concierge Lounge and free dry cleaning! How to Book Your Senior Bachelor Group Cruise! Space is limited on each of these cruises and is first come, first serve. Keep in mind that the deposits are COMPLETELY, 100%, REFUNDABLE up until 75 days before travel commences!!! What have you got to lose by saving your place TODAY. To be eligible for the Senior Bachelor Group rate, you MUST call Coastline Travel at 1-800-448-2374 and you need only mention you heard about the cruise special from the Senior Bachelor! This offer has LIMITED CAPACITY and is open to any single males or females age 45 and over, and especially age 50 and over as well as married couples. In order to be part of the Senior Bachelor group you must book through our dedicated travel agency, Coastline Travel Advisors. Call our exclusive travel agency, Coastline Travel, 1-800-448-2374, (or 714-621-1040) ask for Jay or Leah, Mon-Fri, 8:00AM to 6:00PM (Pacific Time) and Saturday 9:00AM to 2:00PM (Pacific Time). 2. Provide your name EXACTLY as it is written in your passport. 3. Address where you will have the cruise documents sent. 4. Phone number at the address where you will the cruise documents sent. 5. Credit Card (Discover, American Express, MasterCard and Visa) for the deposit and for Cancellation Protection Plan and excursion purchase. 6. We highly recommend that everyone takes the travel insurance offered by Travelex. It is an excellent value for peace of mind. Jay or Leah can help describe the policy and rates to you. 7. Any special dietary needs. 8. Any special medical needs. 9. Any celebrations you plan while on board. 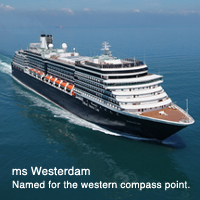 Name changes require the prior approval of the cruise lines and may not always be possible. Cruise and Cruisetour Contracts are nontransferable. Name changes and departure date changes are considered reservation cancellations and are subject to cancellation fees. All the information in this Newsletter and more is on the Cruise Page on the Senior Bachelor Website- click here and save it in your "Favorites." Be sure to save this Newsletter for future reference as well. Have it handy when you are ready to make your booking. If you misplace it, it will be available on the Senior Bachelor Newsletter Archives. 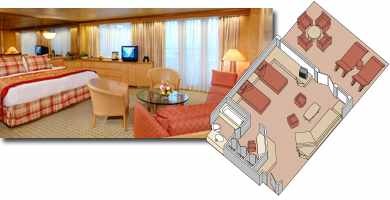 Oh, and future Senior Bachelor Cruise Newsletters will go into more detail about the amazing amenities provided by Crystal Cruises and Holland America Lines on their cruises. These are wonderful touches you would expect from the top cruise lines on the open seas. And if you need to convince your friends who you want to go along just how much FUN we have as a group, have them click here to go to the Senior Bachelor Photo Page and show them!